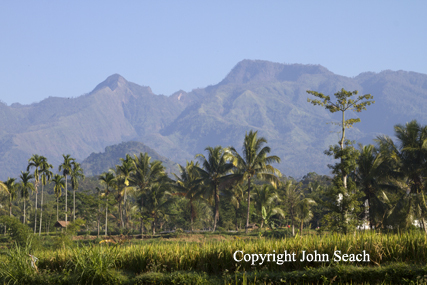 Iyang-Argapura Volcano is located in east Java, 25 km NW of Jember, Indonesia. The volcano consists of a deeply eroded complex with valleys up to 1000 m deep. Iyang crater has explosion pits which contain solfatara.